Club captain Nemanja Vidic is set to miss at least the first part of the pre-season tour due to a bout of sciatica, not to worry though as the club are adamant it isn’t anything serious and he’ll be fit for the new season. 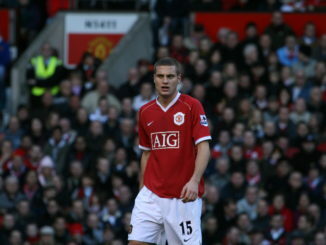 Vidic was a rock at the heart of defence last year, so its important he’s fit for that tricky start we face. United play their first game of the tour in Thailand on Saturday. They take on the Singha All Stars at 2pm UK time. Vidic is 31 now and after suffering a serious injury a couple of years ago. Its vital the Serbiian gets a decent amount of match practise in before the new season.